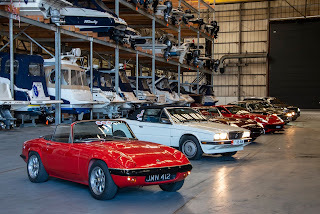 Trafalgar Wharf: Classic cars take time out at Trafalgar Wharf before travelling to Grand Prix Historique in France. 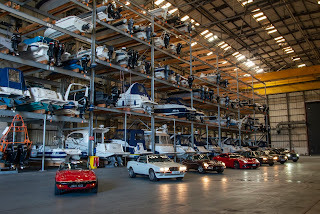 Classic cars take time out at Trafalgar Wharf before travelling to Grand Prix Historique in France. 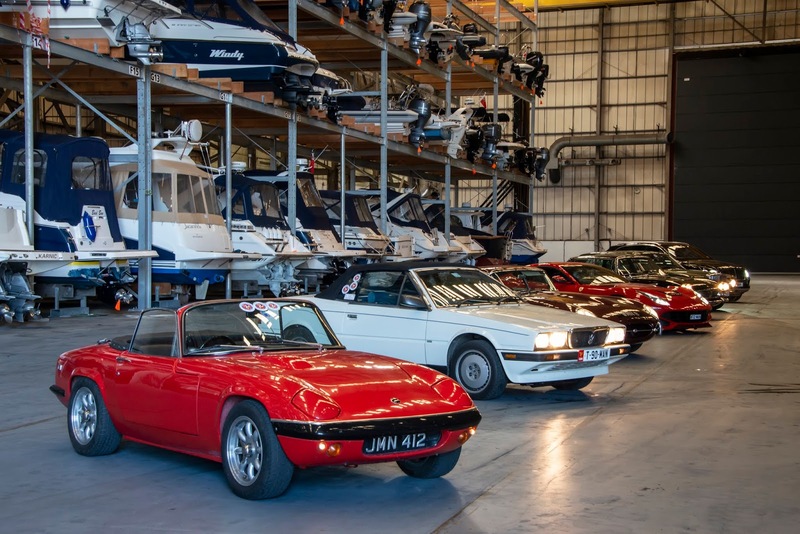 Trafalgar Wharf played host to hundreds of thousands of pounds worth of classic motors when the Manx Classic Car Club stopped off before heading to France last week. We’re used to seeing Super Yachts and high-performance RIBs at Trafalgar, but there’s something special about an E-Type Jaguar in perfect condition that you just can’t compare. 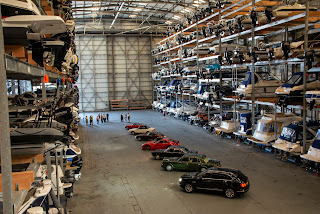 We invited the car club, which was formed in 1973 and has 130 members, to a grand tour of The Drystack and marina. With the café on site ...and plenty of parking, it proved to be a great secure stop-off for the owners of Ferraris, Jaguars and Porsches. The club had driven down from Liverpool during the day and were heading off via the Portsmouth ferry to join up with the classic Grand Prix de Pau Historique, which takes place in the beautiful city of Pau at the base of the Pyrenees. The Grand Prix de Pau Historique is one the favourites on the Historic Motor racing calendar with the oldest and most exciting of the remaining street circuits. 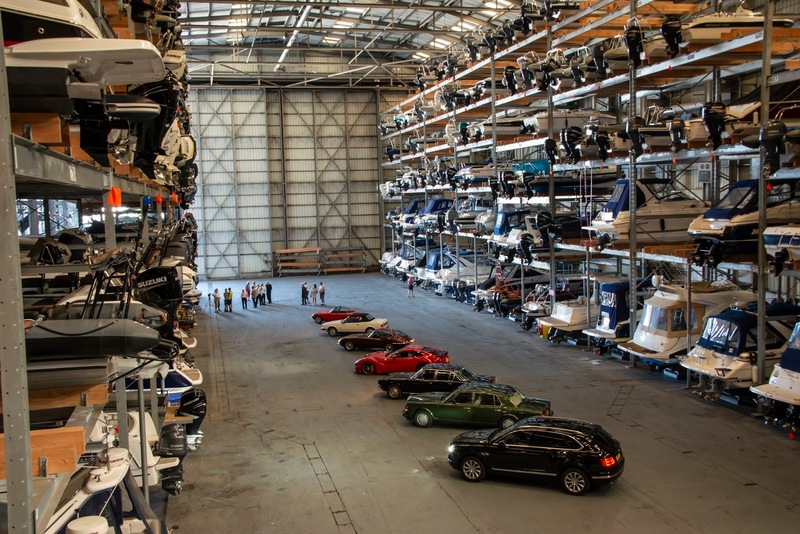 We’re always trying to attract people to Trafalgar Wharf, not just for the marine business, but also for our other facilities. With car parking, café, toilets, showers, offices and indoor facilities, we’re here for everyone who wants a flexible space, even just for a day. 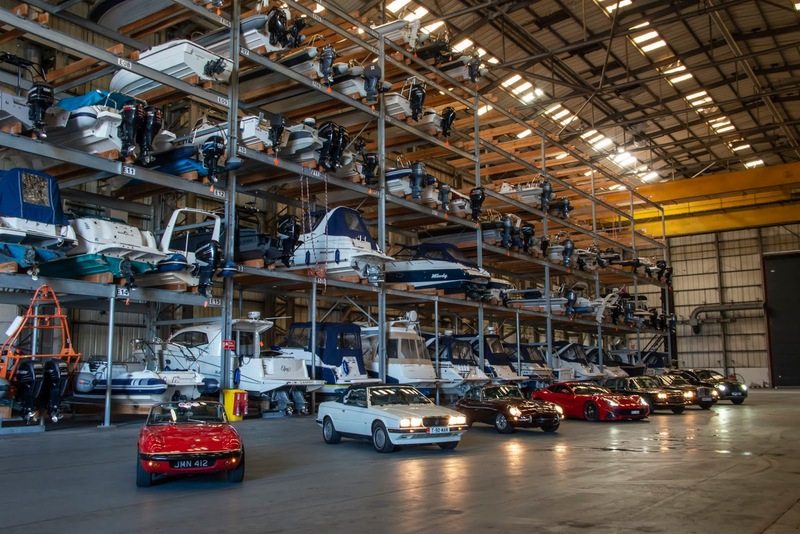 With Super Yachts and ferries being refurbished, a busy Boat Club, and a RIB sales company, the old Vosper Thorneycroft site is flourishing and continues to bring new business to Portchester.